It’s here! The brand new version of the tellows app for iPhone is finally available – and it’s on offer for the festive season! Our online community continues to grow and thanks to your input, the number of caller profiles we have in our database is rising; the total now stands at over 75,000! 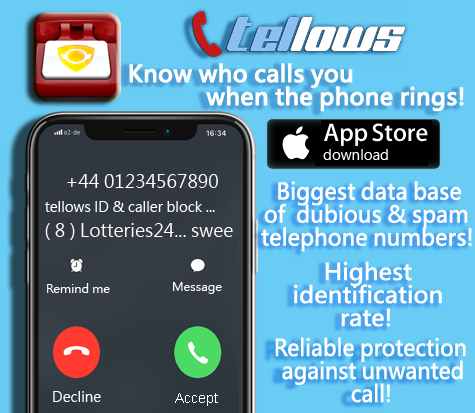 With this breadth of information, recognising callers is getting that bit easier every day, meaning you can protect yourself more and more easily against telephone tricksters. 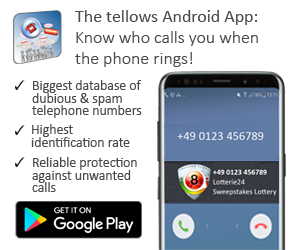 Hundreds of thousands of people are harassed by spam callers every day – the tellows app gives you the info you need to avoid this kind of annoyance. Unwanted call statistics skyrocket in the festive season, quite probably because the callers are hoping that purse strings will be tied a little more loosely in the Yuletide spirit. Tele-spammers are looking for goodwill and gullibility. Fight back with the app! From now until Christmas Day, we’re offering the tellows app for £0.69 (a 60% discount!) in the App Store. Think of it as a Christmas present, from us to you. This entry was posted in App suggestion, General and tagged app download, christmas special, iOS, iPhone, iPhone App, new version, telephone, tellows app, tellows pro-app, update on Monday December 9th, 2013 by Annemarie N..